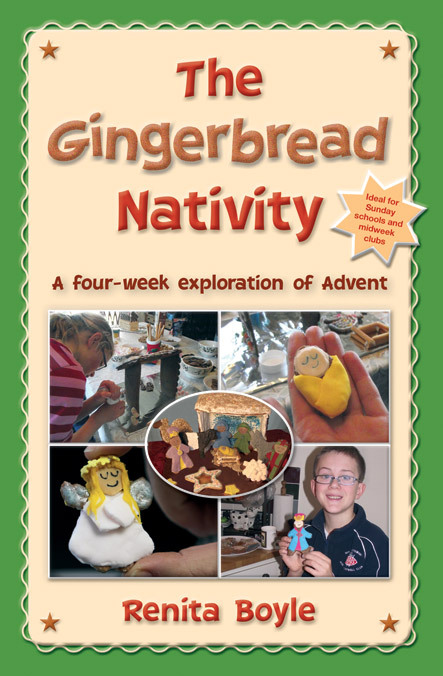 Presents a four-session exploration of Advent, based on the making of a gingerbread nativity. This title includes instructions, basic templates, recipes and top tips for making, baking and decorating, as well as fake or no bake alternatives; and Advent reflection and discussion starters for each session. The perfect recipe for a memorable and tasty exploration of Advent and Christmas! The Gingerbread Nativity uses the popular tradition of making and decorating gingerbread houses and biscuits to explore the themes of Advent and the story of the first Christmas. It includes instructions, diagrammatic illustrations, recipes and top tips for making, baking and decorating, as well as fake or no bake and allergy-free alternatives. It also includes Advent reflection and discussion starters for each session; 25 'taste-a-day' family activities; ideas for a gingerbread themed family service and 'choose and use' ideas for adapting the material for use in other settings. The Gingerbread Nativity is ideal for Sunday schools and midweek clubs, but whether you choose to use it in four weekly sessions, as a half day workshop or in Messy Church, with small groups or large, single age or all age, at home or as part of a community fete, the material is sure to inspire Advent fun for everyone. The Gingerbread Nativity by Renita Boyle was published by Barnabas in September 2013 and is our 15353rd best seller. The ISBN for The Gingerbread Nativity is 9780857461612. Be the first to review The Gingerbread Nativity! Got a question? No problem! Just click here to ask us about The Gingerbread Nativity.